Brian Stahl, O.D., M.D. 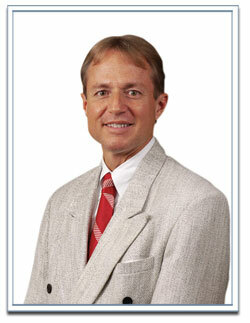 is the Founder of Stahl Vision in Dayton Ohio where he is a well recognized LASIK surgeon, and cataract eye surgeon. Dr. Stahl received his Medical Degree at the Ohio State University College of Medicine and completed his Residency in Ophthalmology at the Ohio State University Medical Center. He continues to hold the academic title of Associate Professor of Ophthalmology at the Ohio State University Department of Ophthalmology. 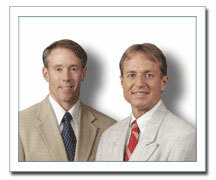 Dr. Stahl has been serving the eye care needs of Ohio residents for over 20 years. Among Ohio eye care patients he is perhaps the area's best-known eye surgeon for providing LASIK and cataract surgery to patients from Dayton and throughout Ohio. He has been selected as the leading LASIK surgeon in Dayton, and the overwhelming choice of fellow doctors by a Wright State University study. Dr. Stahl pioneered laser eye surgery in Dayton including LASIK, PRK and our trademarked CustomVision™ laser eye surgery. Doctor Stahl was the first to do laser eye surgery for a Dayton patient, first to do laser eye surgery for farsightedness, and first to offer Wavefront Guided Custom LASIK treatments, and holds the trademark for CustomVision™, our advanced laser eye surgery technology and nomograms. Among LASIK surgeons across the United States, Dr. Stahl is one of the most highly regarded surgeons for his work and contributions in developing the computer analysis and Excimer laser treatment nomograms that are used and applied by surgeons to achieve the best possible results for their patients. Dr. Stahl is certified by the American Board of Ophthalmology and is a member of numerous academic groups including the International Society of Refractive Surgery, American Medical Association, American Academy of Ophthalmology, American Society of Cataract and Refractive Surgeons, Ohio State Medical Association, Ohio Ophthalmological Society and the Dayton Area Society of Ophthalmologists. Dr. Brian Stahl and Dr. James Knowles together form Stahl Vision LASIK, and our regional center houses our Stahl Vision Center, Laser Vision Correction of Dayton, and Eye Laser and Cataract Surgery Center all in one building. Whether it is laser eye surgery, LASIK plus PRK, or advanced cataract surgery, we have the experience and technology to help you get the vision you deserve.